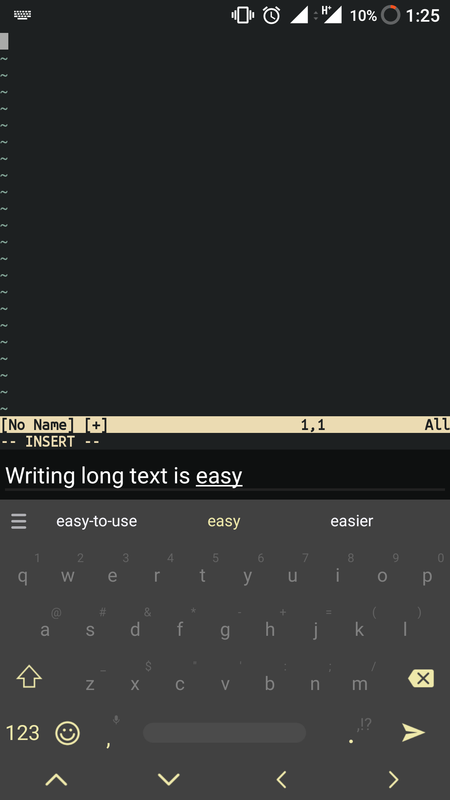 Termux also has an extra keys view. It allows you to extend your current keyboard with the keys ESC, CTRL , ALT , TAB , - , / and |. To enable the extra keys view you have to long tap on the keyboard button in the left drawer menu. You can also press Volume Up+Q.